Amy attended the University of St. Francis in Joliet, majoring in Marketing & Communications. 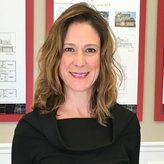 She began her career in the homebuilding industry, 28 years ago, in a sales position for her family’s developing company started by her father. Under his tutelage, she acquired strong values of managing a company with integrity, honesty, and high ethics. Amy strives to ensure each part of her team carries those values in their daily work, in order to offer the community a superior product. Amy has been involved in every aspect of the industry, such as construction, finance, and management. Furthermore, she is responsible for the strategic planning of the company, as well as supervising all the development initiatives, sales, and marketing. Additionally, she works closely with all current and past homebuyers to ensure their continued satisfaction with the company. John started his career with some of the finest family homebuilders in the industry. 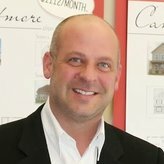 His extensive experience spans over 20 years in the homebuilding industry. As owners of Core Homes, being a locally owned business, Amy and John, and their families, live in the area with strong bonds to the community and have a vested interest in its development and future. Core Homes is one of the most successful and respected new home building companies in the Joliet, Plainfield, Minooka, Shorewood and Channahon areas. For over 25 years we have been dedicated to building new homes in the Will County, Kendall County, and Grundy County areas that are a superior blend of architectural design, quality craftsmanship, and attention to detail. We constantly challenge ourselves to build the best possible new home, with the right features and materials, at a price our homeowners can afford. Core Homes came into being after 25 years of working with Phoenix Development, the premier new home builder in the Will County, Kendall County, and Grundy County areas. Core Homes was started as a new phase in new home development in the Joliet, Plainfield, Minooka, and Shorewood areas, but with a focus on continuing the tradition of building quality, single-family homes, with a new twist on becoming the most energy efficient homes in the area. Rich in work ethic and strong in character, Core Homes has cultivated a lifetime of exposure to real estate and new home construction, to become one of the strongest, most reliable homebuilders. Core Homes has been giving homebuyers “Altogether More”… More experience, More impressive architecture, More outstanding features, and More rewarding lifestyles in desirable locations throughout the Joliet, Plainfield, Minooka, and Shorewood areas. In short, you Get More with Core! Today, Core Homes continues a legacy of delivering altogether more through their highly credible detailed approach among new homebuilders in our area. Core has earned the respect and admiration of their peers, their subcontractors, as well as the confidence of hundreds of families who come home to a Core home every day. The two founders, John Major and Amy Capista, started Core Homes with the belief that they could offer Joliet, Plainfield, Minooka, and Shorewood homeowners the professionalism of a large company with the local knowledge, responsiveness, and flexibility of a local new home builder. Over 1,400 satisfied homeowners later, Core Homes has become one of the area’s most successful and respected builders. When considering a new home builder, you want to be confident that your new home fulfills your dreams as well as your needs. In order to accomplish this, we offer a wide selection of homes, and are able to customize them to reflect your personal style and perfectly fit your family’s needs, while still remaining affordable. It is a balancing act that requires knowledge, experience, and attention to detail. We believe that this extra effort results in superior quality new homes with elegant elevations, thoughtfully designed floor plans, quality materials, and excellent craftsmanship.